Microsoft Nigeria hosted bloggers from Nigeria to an interactive session on Empowering Digital Transformation. 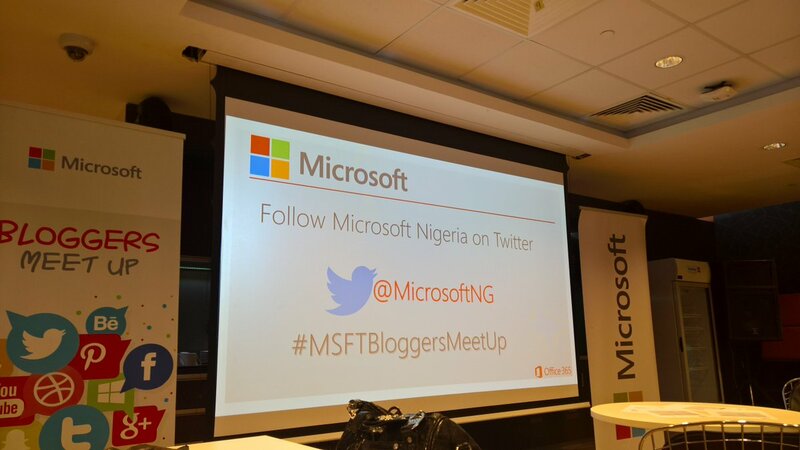 The bloggers meetup event was to bring a familiarization of service solutions offered by Microsoft and the new updates coming with the Creators Update to the bloggers. Digital Transformation is simply doing things differently and with ease. The Creators Update is the next major update to the Microsoft Windows operating system. The Update is scheduled to start arriving first on new devices and then to the older devices from April 11th 2017. Also Microsoft has said that you can use the Microsoft Update Assistant to manually initiate the update from April 5th 2017. For Windows 10 Mobile devices the creators Update will start rolling out from the 25th of April. The Creators Update will begin to roll out on April 11th. Like with the Anniversary Update we delivered last August, this update for Windows will proceed in phases. We’ll iterate this process over a period of several months until all compatible devices running Windows 10 worldwide are offered the Creators Update. Windows Phone will follow the same phased approach, with rollout scheduled to begin April 25. At the event Microsoft Nigeria shared updated statistics of Windows 10 since it’s launch. There are currently over 400 million monthly active devices. Cortana has been asked over 5 Billion questions with over 1 Million daily queries. 10 Million of streamed Xbox one games to Windows 10 PCs. The Windows store has had over 5 Billion visits. Check out more from the event via hashtag #bloggersmeetupdt on social media platforms.